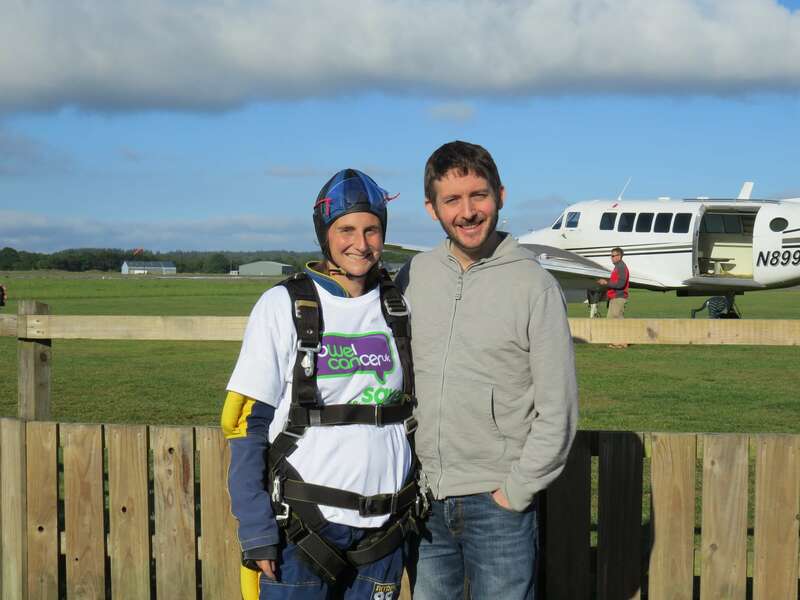 Nu-Heat employees Sarah Dean and Pete Bell took the skies this August to throw themselves out of a perfectly good aeroplane, all in aid of Bowel Cancer UK. 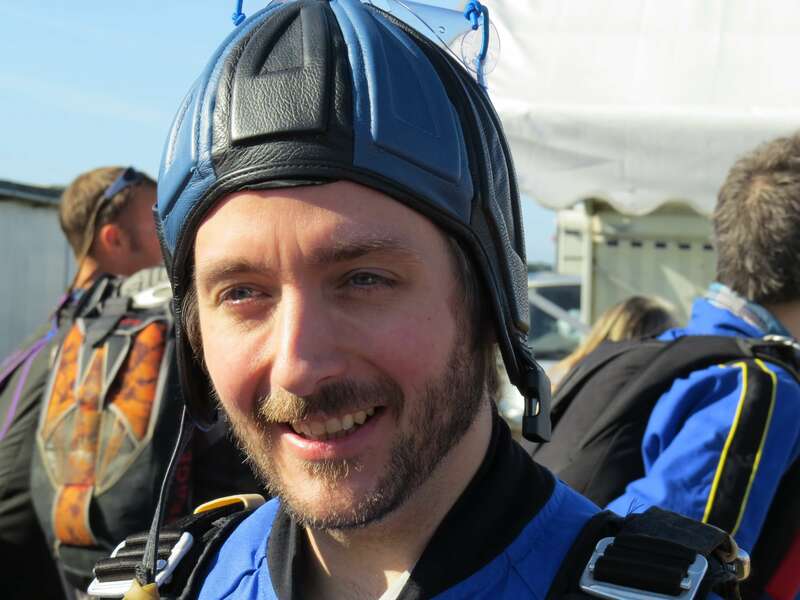 The pair jumped from 15,000 ft. and ‘enjoyed’ a full 60 seconds of free-fall at 120mph before settling into a ‘relaxing’ parachute ride back to the ground! “The skydive was amazing; I would do it again now if I could!” says Sarah. “A huge thank you to those that kindly sponsored us; we really appreciate your generosity.” says Peter. Sarah and Pete raised a fantastic £1,800 for Bowel Cancer UK. Bowel Cancer UK aims to save lives and improve the quality of life for all those affected by bowel cancer. For more information or if you would like to make a donation, please visit Bowel Cancer UK.